Rooftop views, salsa lessons, and enough leftovers to feed the in-laws—whatever your idea of romance, you don’t have to look far to find it in Atlanta. But “romance” is perhaps too general of a term. Every relationship plays out in chapters, from the nervous first date to the big question. But before getting down on one knee and asking “What’s your name?”, take a look at this list of Atlanta restaurants for every stage of your relationship: JCT. Kitchen & Bar Great for: Meeting for the first time Romantic perk: Rooftop bar Located in the hip West Midtown neighborhood, JCT. Kitchen & Bar is equal parts classy and casual, with all-white decor that serves as the perfect setting for an elegant evening. The menu of upscale Southern cuisine provides plenty of topics for conversation, from homestyle deviled eggs to JCT.’s famous fried chicken. After the meal, head upstairs to the rooftop bar for a handcrafted cocktail. If things go well, you can even stay late to catch live music in the bar area. One Midtown Kitchen Great for: Taking things to the next level Romantic perk: Skyline views No backdrop is more romantic than the Atlanta skyline at night. 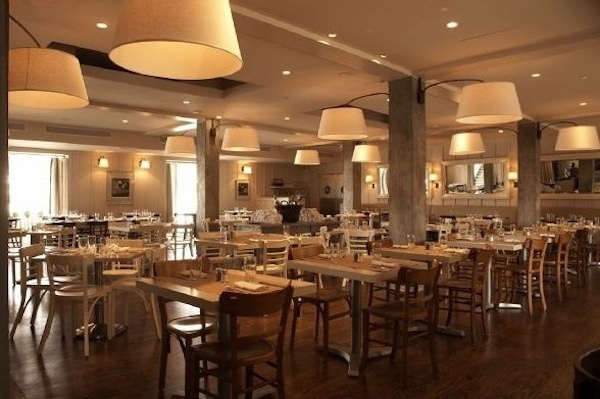 One Midtown Kitchen is located in the warehouse district that borders Piedmont Park, and the restaurant offers diners a glimpse of the city from their table. If you can peel your eyes away from the view, you’ll see that the interior is just as romantic, thanks to the cozy booths, exposed brick walls, and modern floating candle arrangements throughout the restaurant. Working in a circular open kitchen, the chefs here use seasonal ingredients to craft American classics such as fried calamari, crispy brussels sprouts, and pork tenderloin. 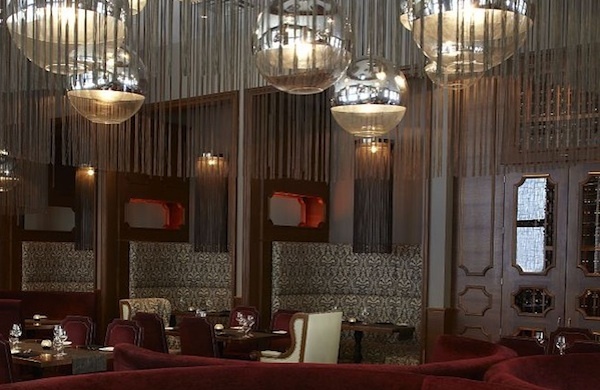 Briza Great for: Dinner and a sleepover Romantic perk: The hotel’s just upstairs Located in the Renaissance Hotel in the heart of Midtown, Briza is the perfect setting for a date night. Chef Janine Falvo, who competed on TV’s Top Chef, has created an excellent menu headlined by a short rib that slow-cooks for 48 hours. Vegetarians will fall hard for the roasted maitake mushrooms served over grits with a wild mushroom-thyme jus. Before heading upstairs for the night, impress your date by ordering a flight of wines selected to pair perfectly with whichever dish you decide on. Antico Pizza Great for: Couples who share everything Romantic perk: Enough leftovers for breakfast the next morning If you’re willing to wait in line, this might be your perfect date-night spot. Antico Pizza is known worldwide for its handcrafted Italian pizzas. Everything here is made from scratch, and the pizzas are large enough to serve a family of four (or one very hungry couple). Even better, it has a BYOB policy, so you can choose your own wine from the cupboard at home. To really make things hot, order the Diavola, a pie topped with pepperonata and a spicy sopressata. 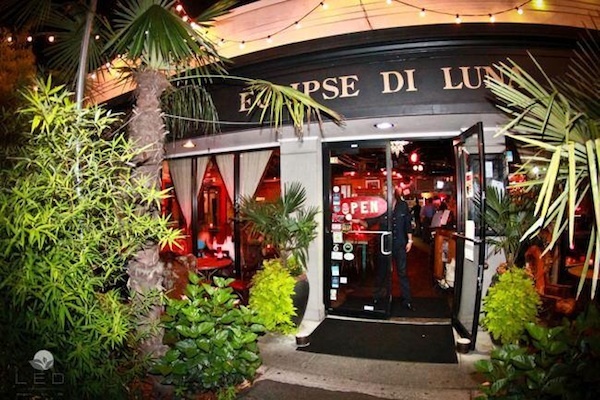 Eclipse di Luna Great for: Spicing up the relationship Romantic perk: Salsa lessons on Thursday nights Dance the night away on Thursdays at Eclipse di Luna, a Spanish tapas restaurant that offers free salsa lessons once a week. Either of the two locations (one in Buckhead, the other in Dunwoody) are perfect for a date night, as the eclectic food and interactive lessons invite stimulating conversation throughout the evening. The housemade sangria doesn’t hurt, of course. Looking for more ways to spend a romantic night out? Check Groupon for things to do in Atlanta. Jewel Hazelton is the founder of Eat.Drink.Shop.Love, a lifestyle blog about her love of food, fashion, interiors, travel, entertaining and things to do around Atlanta. Jewel spends her free time trying new recipes, exploring Atlanta’s dining scene, traveling to exciting destinations, and discovering all that her hometown has to offer.